A few people I know and admire put emotionally charged posts on Facebook. They were clearly disappointed with the outcome and wanted to vent, but it seemed even the simplest post attracted equally passionate arguments. Arguments that caused fall outs, back tracks and apologies. I saw that several people had unfriended friends due to their public political ‘honesty’ online. The huge popularity of social media as a place to share aspects of our lives has meant it’s also become a place for us to share what’s going on in our minds as though it’s an extension of our thought process… and I don’t think that’s entirely a good thing! When reading the comments, I saw some which, when feeling compelled to argue their point, say that they were ‘only being honest’. That they had every right to express their view as they were being ‘honest’. The problem with communicating with people online is that our words and tone can be misinterpreted so easily. The lack of nonverbal communication, the visual clues to how a person is feeling, means it’s all too easy to get offended over the simplest thing. The same occurred only a week before with Kate Middleton and the venomous comments about how good she looked the day she gave birth to her daughter, Princess Charlotte. Again social media turned ugly. Some people showed support for Kate, but many used it as an opportunity to make snide comments about her status, luck and privilege at having an ‘army’ of helpers while we all have to do it alone. Personally, I felt sorry for Kate having to spend such an emotional day trying to please a load of haters. Surely honesty is far better than the white lies we say all the time? But since when did being truthful about how you feel about someone make it OK to say horrible, hurtful things? It’s become a growing trend in an age where people are becoming increasingly self-obsessed. The popularity of shows such as Big Brother, which is all about putting a bunch of brutally honest people together, or talent shows like X-factor where people are publicly judged, means we have become comfortable with this method of criticism and think it’s okay to use it in our daily lives. Perhaps the British are loosening up? Perhaps it’s me being too prim? Perhaps it’s a good thing that we are able to express even our meanest thoughts without caring? Being honest is something we should all aim for. We want others to be honest with us. Honesty is the best policy. But in this context honesty is being used to define a kind of hurt, as an excuse for saying what you really think no matter the consequences. But we don’t have to share everything, especially uncharitable thoughts. I am as opinionated as the next person, but I would hope that I wouldn’t put someone down because they voted for a different party to me… not online that is! I might have a debate about it. But I wouldn’t post for all the world to see that I think they’re an ‘arrogant, idiot’ (one of the nicer remarks I saw) who is to blame for the country being ‘ruined’. Or that I hope their children never need the NHS because they voted for Torys (so they deserve their children dying at the hands of a poor-quality health service!). I’ve also noticed the trend in brutal honesty much closer to home. My tween’s friends get into all kinds of debates online (as I closely monitor her accounts) and the term ‘I’m just being honest’ crops up again and again when they criticise each other. What happened to ‘if you can’t be kind, be quiet’? I’m not talking about ranting online. Ranting is a necessary release… if it’s the occasional ‘the kids are driving me crazy’ kind of rant. People have every right to rant and we can all support each other with a quick message or comment. But should we have every right to be ‘honest’? I’m not suggesting we live in a sterile world where we can’t express how we feel. I just think a bit of tact. A bit less sharing of some of the bad thoughts might just keep social media a nicer place to be social. What do you think? Did you notice any bad feeling or nastiness on your news feed over the election? This entry was posted in Life with grief, My musings about life, Uncategorized and tagged Facebook, general election, opinion, social media by Chasing Dragonflies. Bookmark the permalink. It’s a minefield isn’t it. I’ve found that ANYTHING you say or do on social media then becomes a free for all to pass comment or judgement on. I swear you could write good morning and someone will go on how it’s not good blah blah. 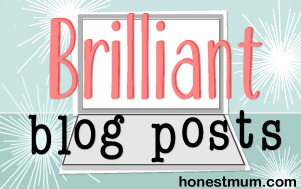 It makes you wonder when blogging doesn’t it that someone will pick apart a post; judge, ridicule or just bloody love! A very insightful post. I’m a leftie, and very open about it. You’ll probably have seen I posted a status expressing my disappointment on Friday morning. My status wasn’t as passionate as it could have been, but even so a very dear friend took it personally, and I was gutted I’d upset her, even though I stood by what I said. I genuinely think the Tory government is bad for the NHS – I’ve seen it get worse and worse during the last government. I wrote a post about freedom of speech on both sides – but to be respectful because I’d heard of so much upset. Agree with you about Kate Middleton, too. I’d avoided most of the hubbub because it was so sensitive to me, but was disappointed in people’s comments – it’s her job to look that way, I’m sure she would have rather have skipped out the back somewhere! Just because people are in the public eye, doesn’t make them fair game. So very true and very well put! Somehow I seemed to miss all this stuff with people being horrible to each other, so either I’m friends with really, really nice people (of course I am!) or I wasn’t online enough on Friday. I did see a lot of discussion afterwards of various people upsetting each other. We all have different opinions. We are all entitled to express them. We are entitled to disagree with others. But to be nasty? Nope. Nobody has the right to attack someone for what they believe in. I think people use ‘honesty’ as an excuse for being really quite horrid a lot of the time! In one way I can only admire people’s passion for politics but not at the cost of other people’s feelings. I saw so much nastiness and name calling on Friday across social media I hated it. I remember when socially people would have a ‘no politics or religion’ rule and I can’t help but think that they were far more harmonious days. I’m afraid the left just look like terribly sore losers and are really not doing themselves any favours. We live in a democracy and the people have voted whether you like the outcome or not. Thank you so much for reading and this lovely comment. I’ve popped over to read yours. A powerful post indeed! I’d be proud to have someone like you as a friend! I am pleasantly relieved I missed most of the online bile on Friday (still wondering around feeling dazed and with a sense of disbelief…..hard to understand the result). I agree, think people lose any sense of inhibition or empathy sometimes when online….strangely been at festival for past few days where political views debated in a civilised left of centre manner….so sometimes think we need to interact with people as people a bit more, and am sure all political persuasions would benefit from considering the human impact a bit more. While social media has its merits, it can also be an ugly place. I was in the office on Friday and hardly online at all, then had a busy weekend with the kids, so I missed it all and I’m really pleased. The Kate Middleton situation is just dreadful. They are human beings for goodness sake! I’m really saddened to hear about the misuse of the word honest, and at such a young age 😦 hope your tween is OK and able to rise above it. Thanks Katy. I too found it too much. We seem to have such build ups to big events now that we have expectations of what we should get at the end of it. Society can be a selfish place sadly. Oh I so agree with this and had a little rant on my blog about the snide comments I received for expressing my disappointment over the result (without attacking those who had voted differently). There were a lot of strong feelings and a lot of unkind things being said in the name of honesty. I love the quote you shared about brutal honesty being more brutal than honest. It is possible to be honest without being rude or unkind. I think one of the dangers of social media is that it is so easy to vent thoughtlessly and post an angry comment without thinking about it and that sometimes we need to take a step back and think before we post. I often ask myself if I would be comfortable if my mum read the things I post on social media and that generally helps me decide if I am debating over whether to post something or not. Thank you for sharing and the reminder that a little more tact and kindness goes a long way. Hi Louise ah that’s such a lovely comment! I’m so sorry you were on the receiving end of some of the honesty I’m talking about. It’s so unnecessary. I agree with you though. I think people forget where they are sharing their thoughts! I’m all for political debate and even disagreement. It would be sad if we all agreed with each other all the time. But taking it to a personal level is where it gets nasty and I absolutely agree that there is no need for that. Sadly while social media has many benefits, people feel free to say things that they wouldn’t dream of saying to someone face to face. People really should think before they type because being mean and personal about someones opinions/clothes/blog/life is just so unnecessary. And they should consider if they would have the guts to say that to the persons face. I didn’t see too much nastiness on social media (heard about it secondhand) but I agree with you. In general, I think people are better off if they employ a little tact and take time to think about how any negative comments might be received. I think it is a shame that people got nasty over it, but I also think that it was perhaps an inevitable part of it all… there is no need to be brutal with each other, but when people get passionate they often say things without really thinking. And whilst I’d prefer a civil conversation, I’ll take a passionate one with the odd fallout over no discussion at all. I hope that, over time, we learn how to discuss these kinds of things without getting too nasty, but I don’t think it’s a new experience related just to social media – what about all the media coverage that personally attacked the Party Leaders rather than their policies? I missed most of the nastiness the day after the election, as my daughter was ill (so we watched Harry Potter all day). The anonymity of social media means that people are far more rude online than they would be to someone’s face. Sometimes it’s not intended. However, far more often it’s because people believe they are entitled to say whatever they think. And of course, we’re entitled to have and share opinions, but the lines between ‘opinion’ and ‘personal abuse’ have been blurred. I was always taught that what you put in writing has the potential to come back to haunt you far more than what you say, and so I always ask myself ‘would I say this if they were in front of me’. And if I wouldn’t, I don’t post it.